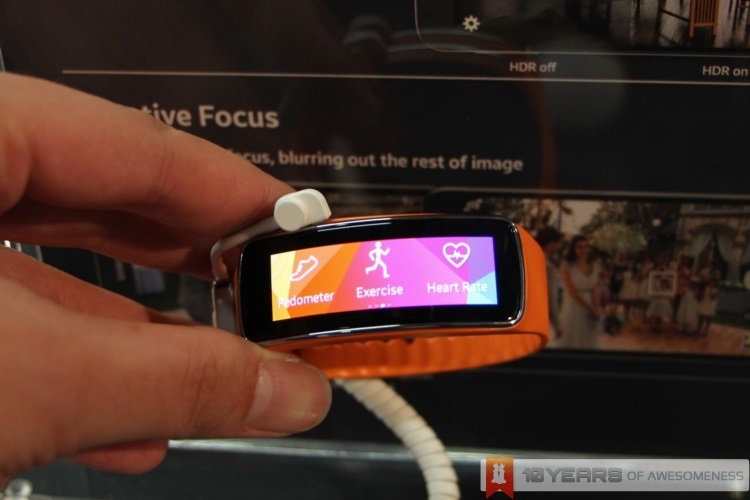 Samsung’s push for health and fitness-oriented products for its smart devices is relentless. 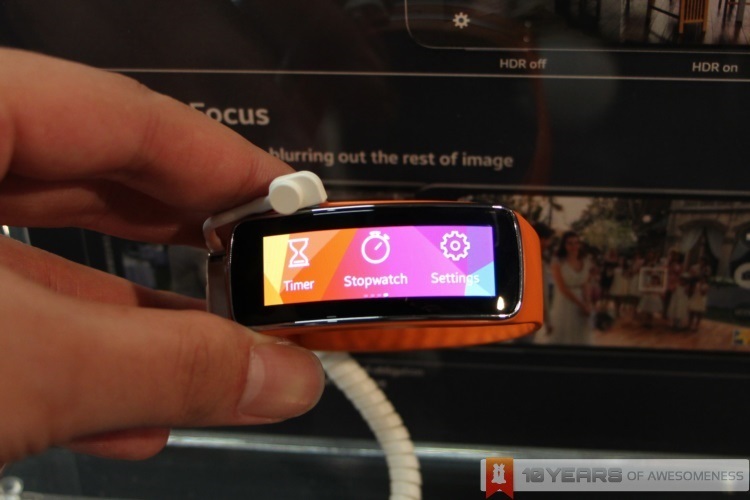 From the original S Health that came with the Walking Mate and Food Tracker, to the Samsung Galaxy Gear companion device with its own built-in S Health app, Samsung is betting big on personal fitness trackers. With the new Gear Fit, that bet just got a little bigger and a whole lot more stylish. 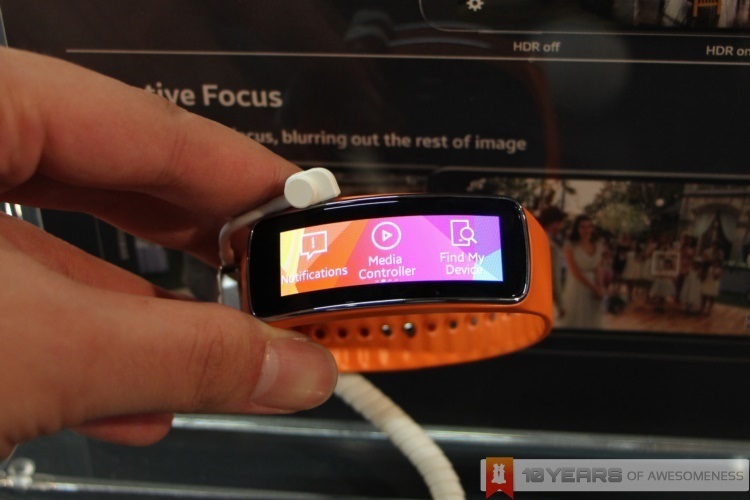 Samsung is telling the world that the Gear Fit is not just any fitness band or smart band, and it’s simply for one reason: this is the world’s first smart band featuring a curved Super AMOLED display, with a 1.84-inch screen and a resolution of 432 x 128. It is hard to overstate just how beautiful the Gear Fit’s screen is. Colours are not only vibrant, but texts are also seemingly ready to pop out of the display. Positioned as a smartwatch but without the added heft and other features like the Galaxy Gear, the sleek Gear Fit also pushes notifications from any of the 20 Galaxy devices it supports. 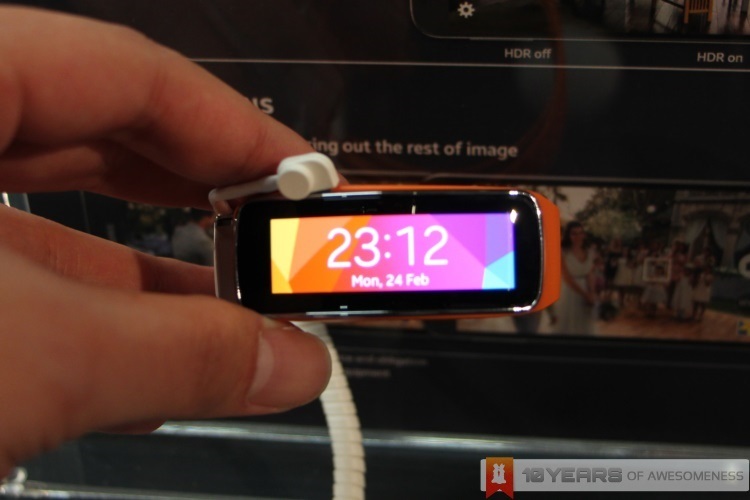 There are basic functions on the Gear Fit that a fitness enthusiast would want, such as a stopwatch and music player, and navigation on the Gear Fit is, like the Galaxy Gear, via swipe gestures. The UI is responsive and fluid, and more importantly light enough to allow for battery life of up to 3-4 days, according to Samsung. 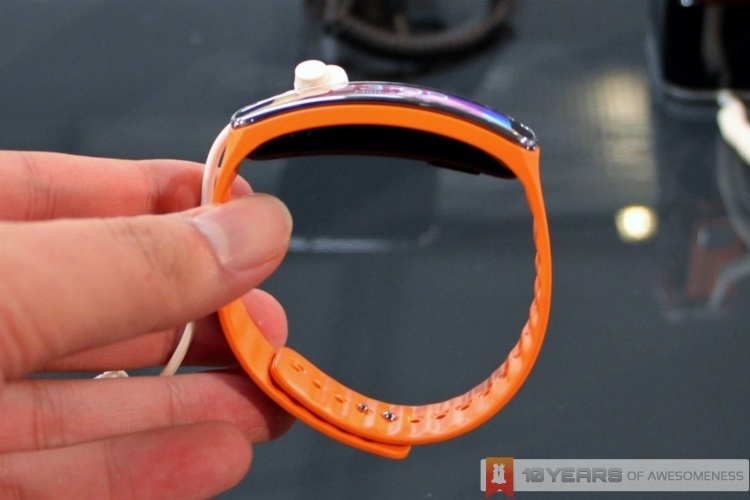 Like the Gear 2, the Gear Fit is also equipped with a single button that acts as an omni-button: power, switch off display, switch on display, and go back to home screen. The button sits somewhere in the middle of one side of the band, and is fairly easy to locate. As a fitness-oriented device, the Gear Fit naturally has an extent of water and dust resistance, to which the Gear Fit is rated at IP67. The rubber straps are also changeable, which is good. More impressive is the weight of the device: at 27g, you’d be hard-pressed to realise that you’re still wearing the Gear Fit after a few hours. 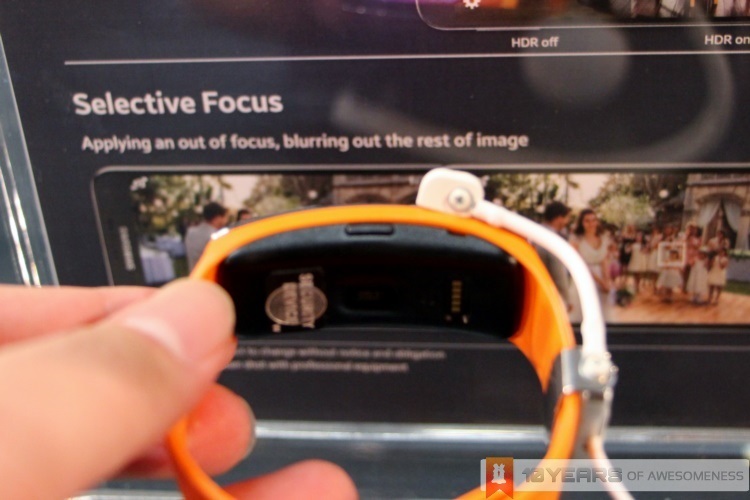 It is even more impressive when you consider the hardware that is fitted into the Samsung Gear Fit. There are three sensors fitted into the Gear Fit – accelerometer, gyro and heart rate sensors – and these help power the S Health app on the smart band. In addition, the Gear Fit also has a Sleep monitoring feature that measures how well you’ve slept – a common feature among smart bands. 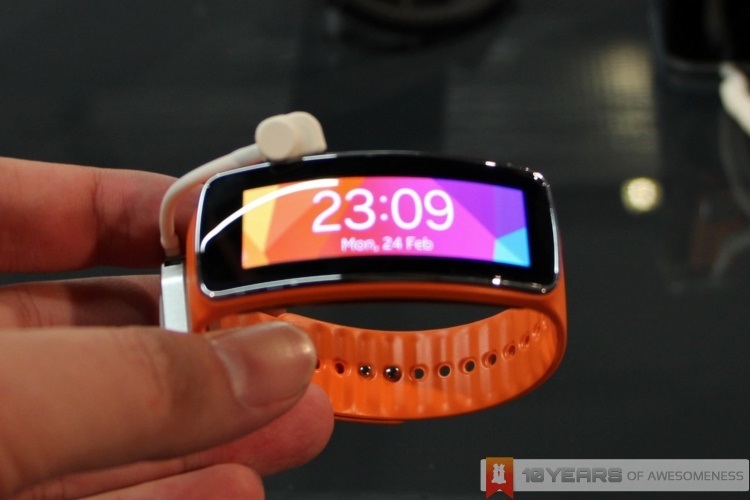 If Samsung is positioning the Gear Fit as a lower-cost alternative to the Gear 2 smartwatch, we could be looking at a more affordable alternative to the more established smart bands already in the market. If the Korean giants can price it right, the Gear Fit may prove an even bigger success than the Gear smartwatch series.